The K Club is a beautifully restored Georgian Estate with its origins dating back to the 6th century and comprises 550 acres with the River Liffey flowing through the middle of the demesne. Just 40 minutes from Dublin the atmosphere is opulent yet relaxed. Coonan Property Maynooth, Celbridge and Naas take pride in presenting to the market two exceptional properties within this luxurious setting — 941 Ladycastle which is a stunning three-bed detached house and 829 Ladycastle which is a high end two-bed ground floor corner apartment. Both properties are located within this exclusive gated community. 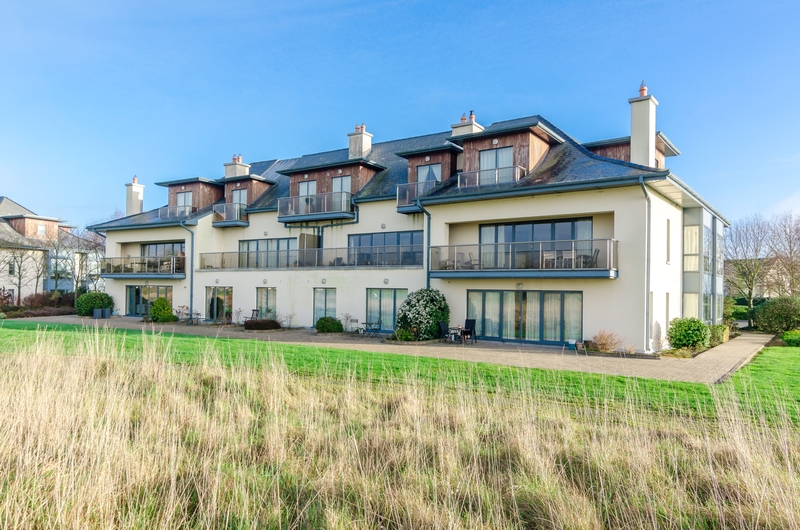 Number 829 Ladycastle (€265,000) has direct access onto the 18th fairway. This spacious property extends to over 1,200 sq ft and has been finished to an exceptional standard. Number 941 Ladycastle (€495,000), is a three-bed detached residence extending to 1645 sqft. This property offers an amazing living room, kitchen and utility comprising high end fixtures and fittings and three double bedrooms with ensuites.